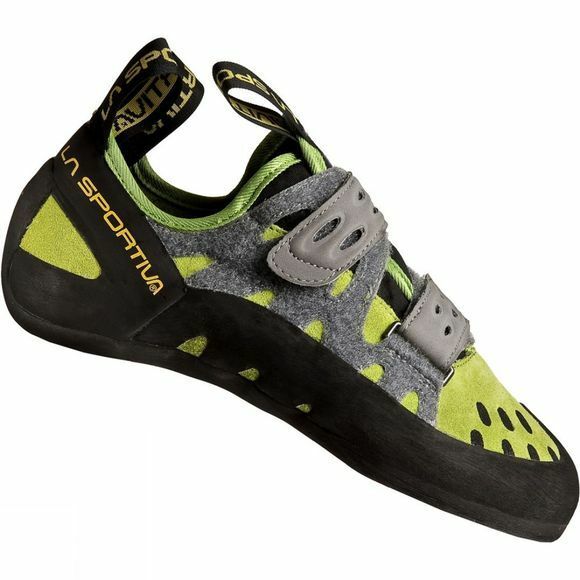 The Tarantula Shoe from La Sportiva is a comfortable climbing shoe that is easy to get on and off quickly between climbs. 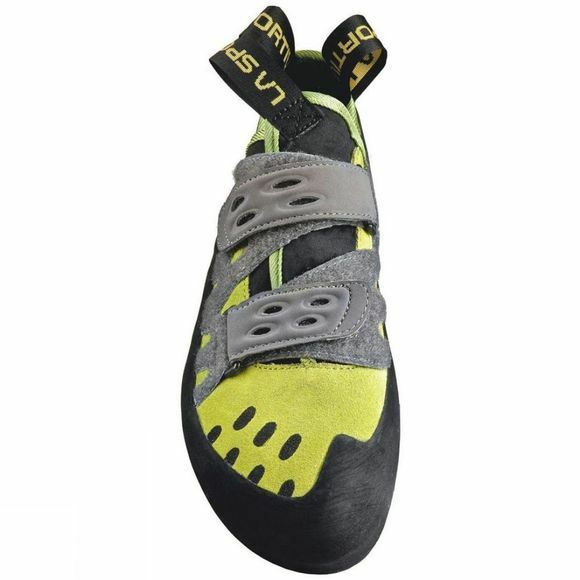 The velcro closure system is highly adjustable making it adaptable to many different types of feet while the asymmetrical shape of the shoe will help you push your climbing grade at a faster pace. The FriXion rubber on the outsole is super sticky on both plastic and natural rock making them a more all round shoe, perfect for all entry level climbers.